The smokestacks don’t bother Jon Berry, who can see them from the living room of his second floor apartment on 44th Street. As long as it’s not cold and there’s no construction going on, he leaves the front door open so he can see them while sitting on his couch. Now known to some as North Manhattan Beach, the neighborhood between Rosecrans Avenue and 45th Street used to be unincorporated until its southern neighbor annexed it in 1980. These days, his contracting work is all video. But when he started out as a new art school graduate, everything was done by hand. So he usually starts his Osoporto designs on paper. “It’s just how I think,” he said. 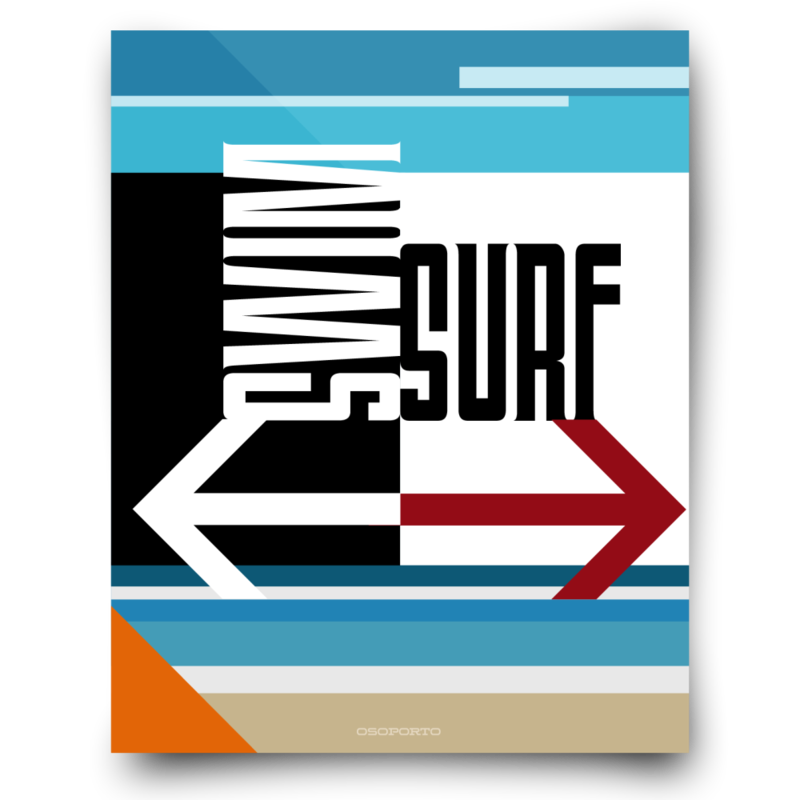 The idea for his favorite piece, a poster depicting the “Swim/Surf” sign typical on the beach, came to him in his sleep. When he woke up, he scribbled it down in his notebook. The Instagram account has become a project in itself. Berry spends several hours every day on social media, posting photos of the beach, surf condition updates and photos of his line. Since his stuff is only available in one store as of now, Motion Bicycle Establishment in Hermosa Beach, most of his customers find him online, he said. A few local companies silkscreen his various products, which include mugs, pillows and soon, hats. One business had also been filling orders that came through his website, Osoporto.com, but it got to be too expensive for the small quantities he produces. So now he fills orders himself from his two-bedroom apartment, which is scattered with boxes of t-shirts. About two thirds of his customers are local, he said, and the rest come from places like Ohio, New York or Australia. He guesses they have some connection to the place, whether through family or a past visit. 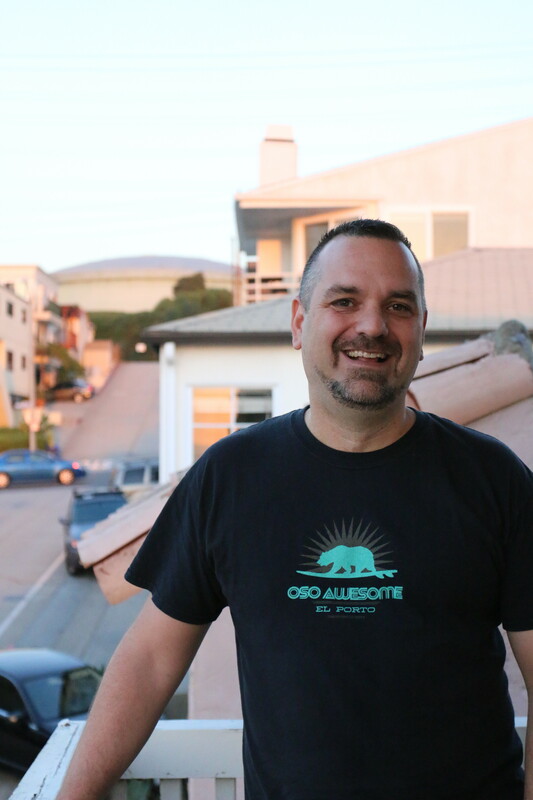 Berry, who is originally from Virginia, discovered El Porto 11 years ago through a work friend after moving to Los Angeles for a job with ABC. Even in the time he’s lived there, he said, things have changed. He’s not holding his breath, however. The description for the Osoporto Twitter and Instagram accounts seems to anticipate this loss. Or maybe it’s already happened.